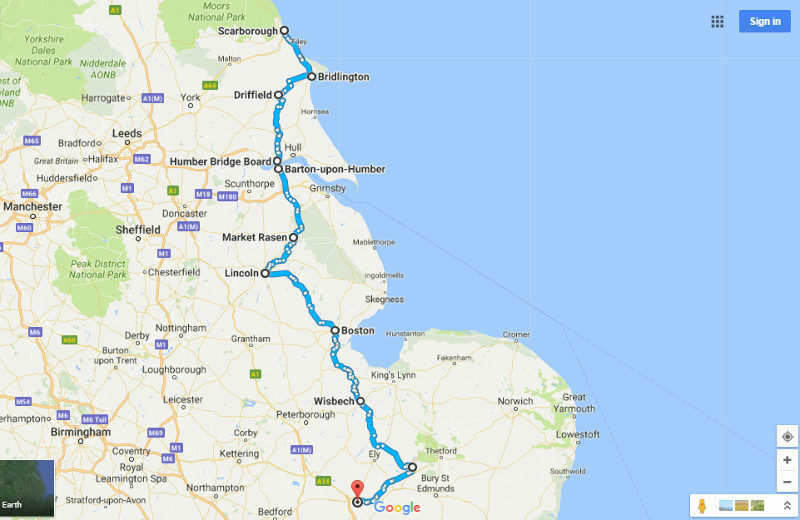 We recently spent a week cycling a UK section of the North Sea cycle route (part of which we had done in Holland on a previous trip), as Tom wanted to do a bit of cycling in his home county of Lincolnshire. Scarborough being our starting point, we cycled to London and caught a train to the North. 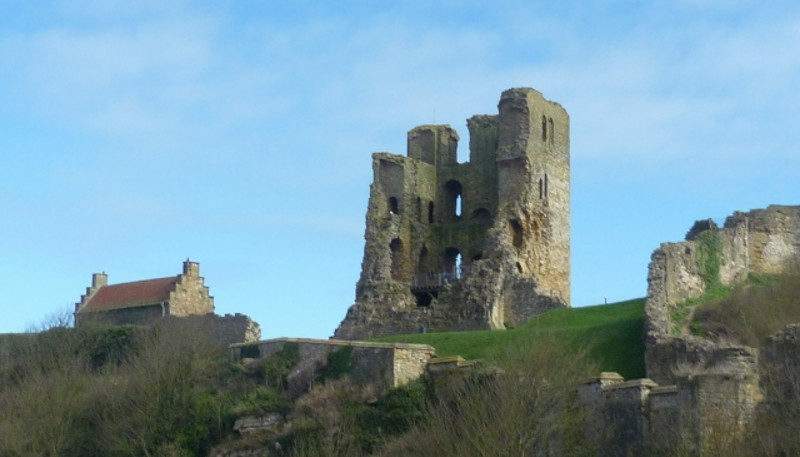 After having a look at Scarborough’s castle and beachfront, we cycled to Bridlington, another cute seaside town. This was the hilliest section of our tour, but easier than the hills in Kent! The next day was a 58 mile ride to Barton, sadly with a strong headwind, although it was a lovely route, through tiny villages and on quiet roads. The highlight was the cycle across the Humber bridge. Next it was into the Lincolnshire Wolds, which are so beautiful, and a look at Market Rasen. We got wet cycling into Lincoln, but it was only a couple of hours of rain, and we had lovely sunny weather for the rest of the trip, so we couldn’t complain! 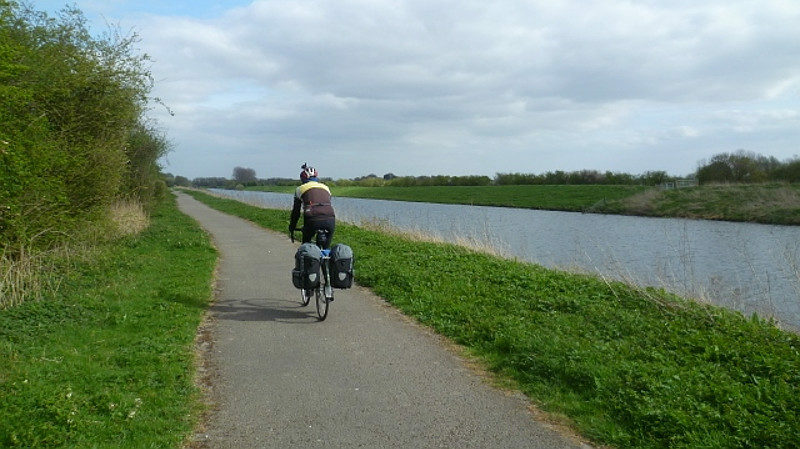 The following day, we discovered that the route from Lincoln to Boston was entirely off-road, on an old railway path (but a nice smooth tarmac) all the way along the river Witham. The route had interesting information boards all the way along, with the history of the river, the “navvies” who worked on it, etc, and also lots of sculptures. We also took an interesting side trip to Tattershall Castle along the way. We were delighted by having the wind behind us for the entire day, and the following two as well. The accommodation we had booked in Boston proved to be a very old hotel, with floors tilting in every direction, and our bedroom hanging alarmingly out over the river! Our fifth day was a very pleasant ride to Wisbech: another day of quiet country lanes, hedges and lovely old houses. In this pretty town we visited Peckover House and Gardens, a beautiful Georgian mansion with beautifully landscaped grounds. The next day we went off the North Sea route and headed for Cambridge, stopping for a night in Barton Mills, near Mildenhall. This was a lovely quiet spot by the river Lark and we stayed in a gorgeous 18th century thatched cottage for the night. On the Saturday we rode into Cambridge, stopping to have a look at Anglesey Abbey on the way, which is a beautiful stone building with a wonderful collection of clocks and large gardens. After a week of very enjoyable riding, we took the train from Cambridge to London and cycled home on a wonderful 25°C sunny day. We found the route excellent: always on quiet roads – the vast majority of which were in excellent condition – with some extensive off-road sections, and easy to follow. The section we took was also the National Cycle Route No. 1. The North Sea Cycle route runs through the countries of Norway, Sweden, Denmark, Holland, England and Scotland for a total of about 6000km. The official website has a map of the entire route, and plenty of information: www.northsea-cycle.com.